"Trust in the Lord with all your heart; lean not on your own understanding. In all your ways acknowledge Him, and He shall direct your paths." 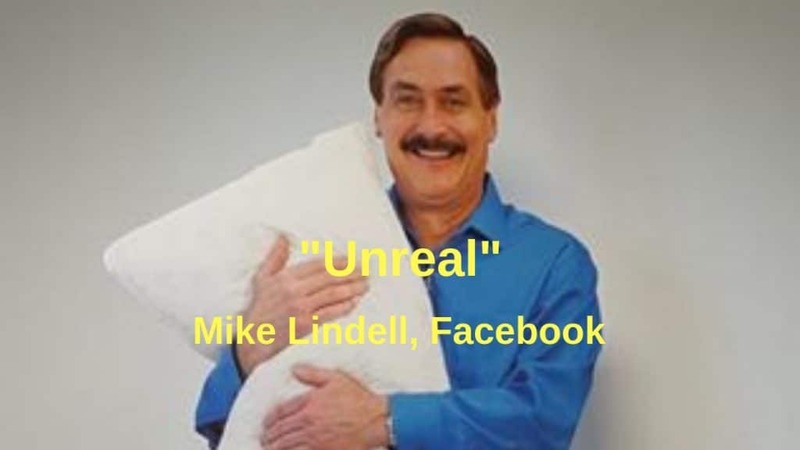 Trump: "MyPillow guy should be my ad buyer"
The Mike Lindell Story: a true “rags-to-riches” story, where Mike has found that “With God, all things are possible”. Mike praises President Trump as the "greatest president in United States' history" at CPAC. Towards that, Mike points out the... Read More. Read this inspiring Salvation Army article, "I will give you rest", about Mike’s miraculous journey from recovering from his addictions (including crack... Read More. "Take it from a guy who knows all about how to rest easy. We can all rest easy with Trump... Read More. Read about Mike's amazing story in The Washington Post's article, From crack cocaine to Mar-a-Lago: The unusual journey of the MyPillow... Read More. Mike Lindell shares his testimony and gets the Presidents Award at the National Religious Broadcasters’ (NRB) Media Leadership Dinner. Throughout his life,... Read More. Don’t miss this CNBC video about Mike Lindell! There are some interesting views of the MyPillow factory as well a... Read More. Mike Lindell joined the "Made in America" roundtable that was hosted by President Trump, Vice-president Pence, Department of Labor Secretary... Read More. Mike's entrepreneurial success story actually starts in a crack house. Although he had already started his MyPilllow business, his turning... Read More. Mike says that “MyPillow is a vehicle for a greater calling, that his success is a gift from God." But,... Read More.